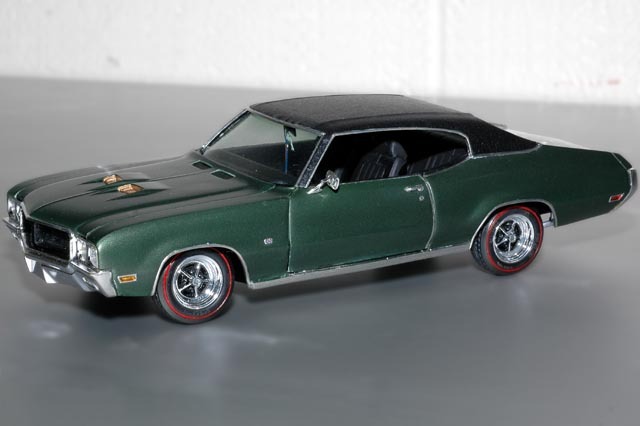 Edward Devaney of Pottsville, PA has long kept meticulous stewardship of a Forest Green 1970 Buick GS. Sometime between 1999 and 2002, Ed's cousin, longtime MAMA member Dave Schmitt decided to replicate Ed's pride and joy in scale -- twice. Dave wanted to build a model of the Green machine that he could present to Ed and he wanted one for himself, so he set up a mini production line and built two of them in parallel.